This personalised Harry Potter themed collectible is by far the most popular request I get, most often as a gift for a Harry Potter fan. 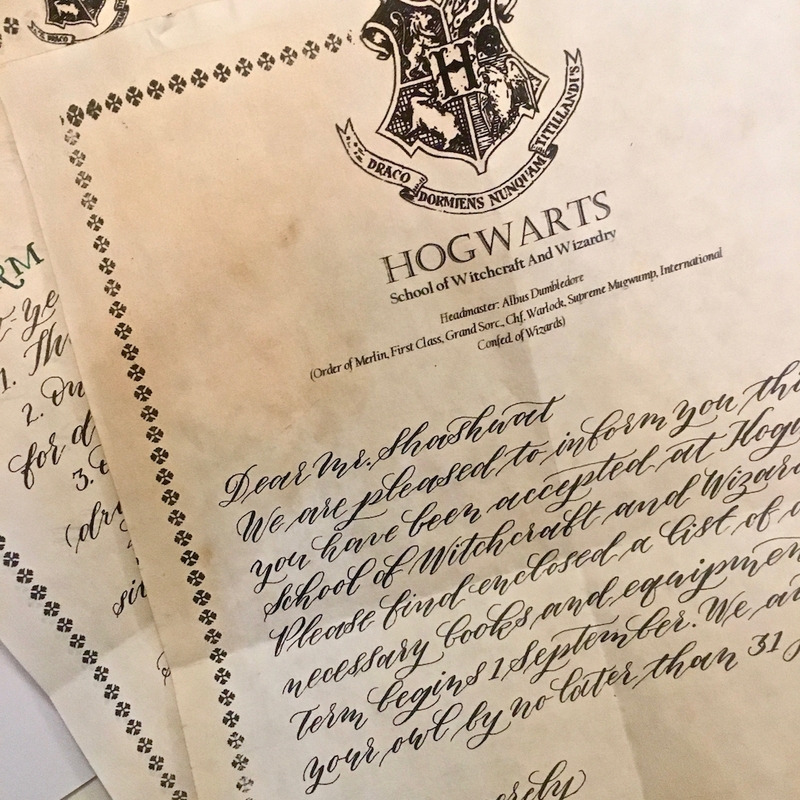 Made with distressed parchment and handwritten in calligraphy, with a personalized green-inked envelope sealed with real wax-seal—it's every Harry Potter fan's childhood dream come true. Being a huge Potterhead myself, I put in a lot of love and effort into each piece. I've already made several of these and would love to make more. So let me know if you want one (use the button at the end of this post to send an inquiry). Everything is in the vintage Hogwarts stationery theme. It intentionally doesn't look exactly like the prop shown in the Harry Potter movies because that was aimed towards children. This has a more vintage feel, it's what I think actual Hogwarts stationery would have looked like. Price starts from ₹8,000. Most of the text can be customised. I am based in Delhi but I can ship worldwide. Get in touch and I'll let you know the availability. Do you want to get emails about other calligraphy stuff like this? Thank you for your interest! I'll get back to you soon with availability and pricing. There are more handmade gift options available in the Calligraphy Shop.